Over the last year I've developed a new algorithmic process for agent based modelling. 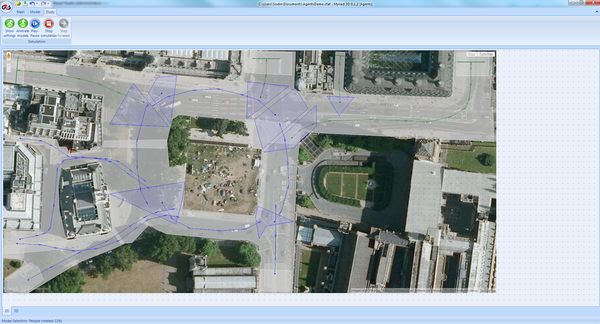 This is based on a space analysis and on the OMCA rules coupled to a local scanning heuristic. Below an image of a complex space (pedestrian only) where we want to test a range of behaviours and movements. 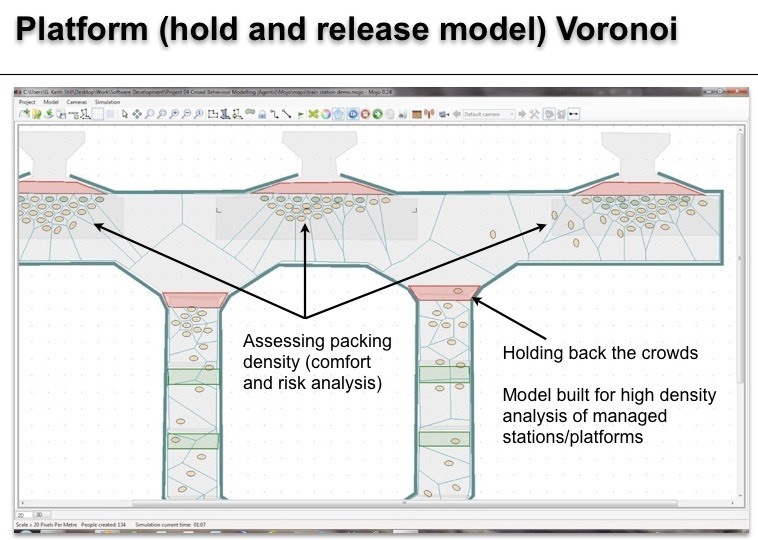 This is designed to assess�complex build up in a visual (3D agents) system for�gaining and education purposes. A wide range of analytical data is�available from the�system. Below - creating Origin and Destinations in the modelling�system. Entry points and exit points are�colour coded to�assist in model building. Below - once the model (above) is built - the user can fly around the simulation from head height to birds eye view. Unlike several modelling tools in the market our agents compress (i.e. : this is not a fixed/maximum density model) - this allows me to assess pressure and risk. As far as I'm aware no other modelling tool has this capability. 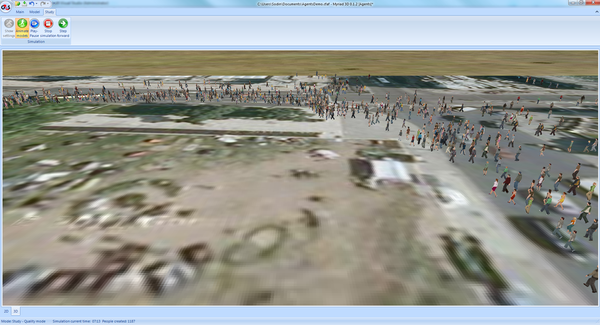 Below - model of a progressive crowd collapse (shockwave) at a concert. See Pressure Modelling for more information on the�above. 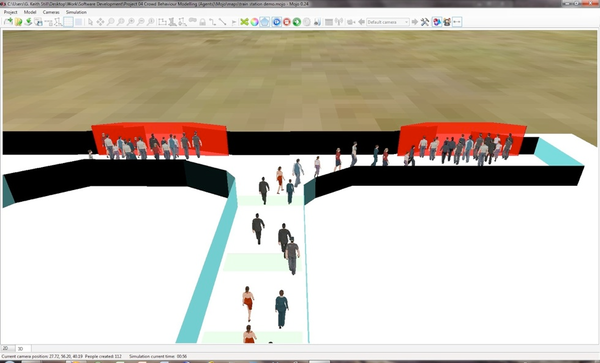 Above and below - models of moving crowds queuing and loading onto a train - these models allow the agents to pack to high density and therefore are indicative of risk. We use these tools to determine both the comfort (value engineering) and risk (crushing) in complex space.